Excellent for all levels of teaching. 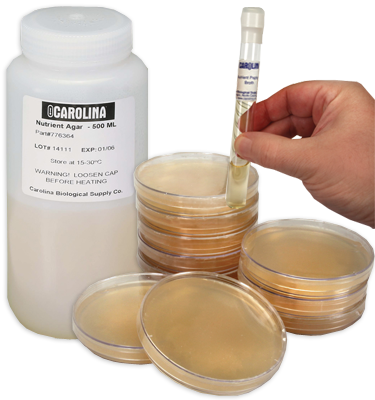 Demonstrates the DNA extraction process with freeze-dried E. coli cells. Cell walls are broken with a detergent, and the DNA is extracted onto a spooling rod. Allows students to visualize DNA and understand some of its properties. Excellent for all levels of teaching. Demonstrates the DNA extraction process with freeze-dried E. coli cells. Cell walls are broken with a detergent, and the DNA is extracted onto a spooling rod. Allows students to visualize DNA and understand some of its properties. Also illustrates the enormous length and acidic nature of the DNA molecule. Kit is designed for a class of 30 students or 6 separate teacher demonstrations. Requires 1 to 2 class periods to complete. With instructions.